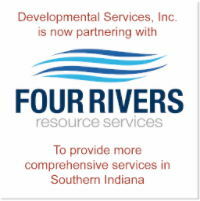 Developmental Services, Inc. and Four Rivers Resource Services, Inc. will finalize a merger November 1st making the combined service agency one of the largest non-profits of its kind in Indiana. Together, DSI and Four Rivers serves children and adults with disabilities in 56 counties in central and southern Indiana. According to DSI Chief Executive Officer Shane Burton, the merger will not affect services but should save costs through shared resources like staff training and administrative support. Both Four Rivers and DSI were created through grass roots efforts that began in the 1960s by advocates, parents and guardians of individuals with disabilities. 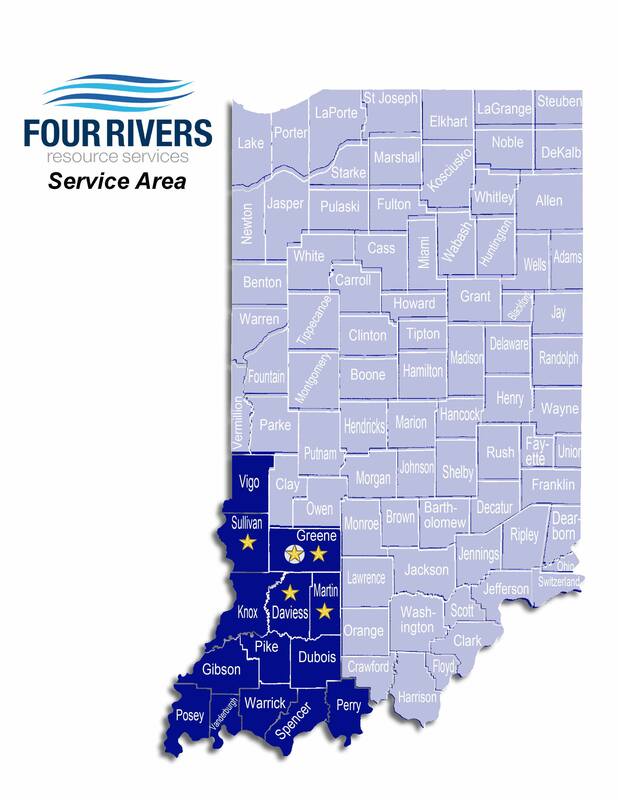 Four Rivers was founded in 1986 and currently serves 14 counties in southeast Indiana while DSI, first opened its doors in 1975 and serves 44 counties the central and southern parts of the State. The two organizations share some counties. According to Steve Sacksteder, Chief Executive Officer of Four Rivers since its inception, the union of DSI and Four Rivers makes sense in light of the close relationship the two organizations have enjoyed for the past three decades. DSI and Four Rivers currently provide supported living, group homes, job placement and supported employment, work services, adult day services, preschool, health and wellness, affordable housing and information and referral. Four Rivers will continue providing public transportation as well. Burton commended Sacksteder, who will be retiring this November and the employees of both organizations for a smooth transition. Developmental Services, Inc. and Four Rivers Resource Services, Inc. are not-for-profit organizations that provide services and supports to children and adults with disabilities in a combined 56 county area in Indiana. 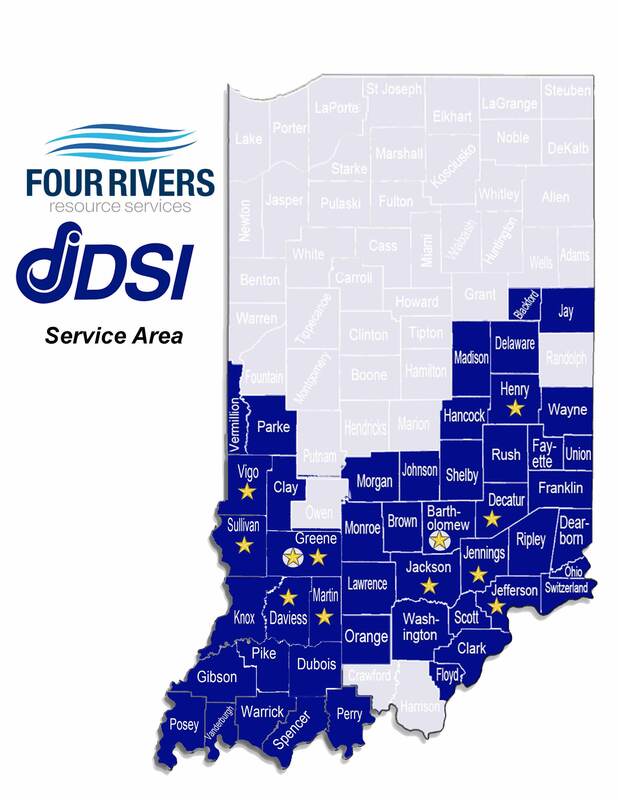 DSI and Four Rivers have industry and service facilities in 11 counties. Services and other information can be found at www.dsiservices.org and https://www.frrs.org. The name Developmental Services, Inc. will be added to the pick list on all the counties Four Rivers Resource Services currently serves. This is being done immediately. Both FRRS and DSI will simultaneously be on the picklist through October 31st, 2017. The FRRS name is included to accommodate specific system transactions although FRRS will not be providing waiver services after October 31, 3017. After that date, FRRS will become part of DSI (November 1, 2017) and removed from the picklist. Four Rivers consumers will need to be offered a choice of providers on the pick list. If they want to continue services through FRRS, Developmental Services, Inc. will still be listed. 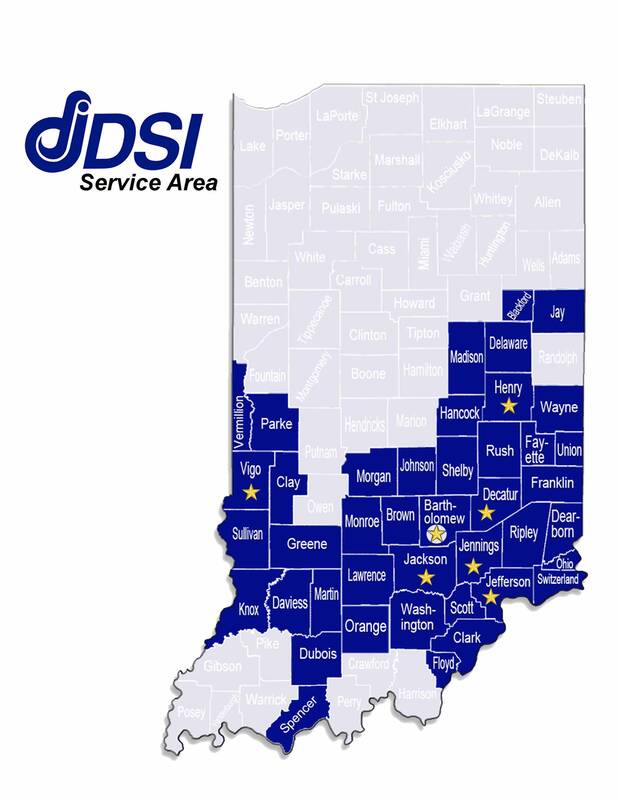 DSI consumers receiving services in any service area will not need to select a new provider since DSI will be continuing service under the name DSI.